Jerry Junior Freeman, II, 45, passed away Saturday, March 16, 2019 at Atrium Healthcare in Charlotte, NC, peacefully while holding his daughters hands. Born October 5, 1973 in Bennettsville, he was a son of Jerry Junior Freeman, Sr. and Patsy Ann Boykin. Jerry was a graduate of Marlboro County High School and was a former self-taught IT technician. He attended multiple churches, but recently was attending Cheraw Family Worship Center in Cheraw. 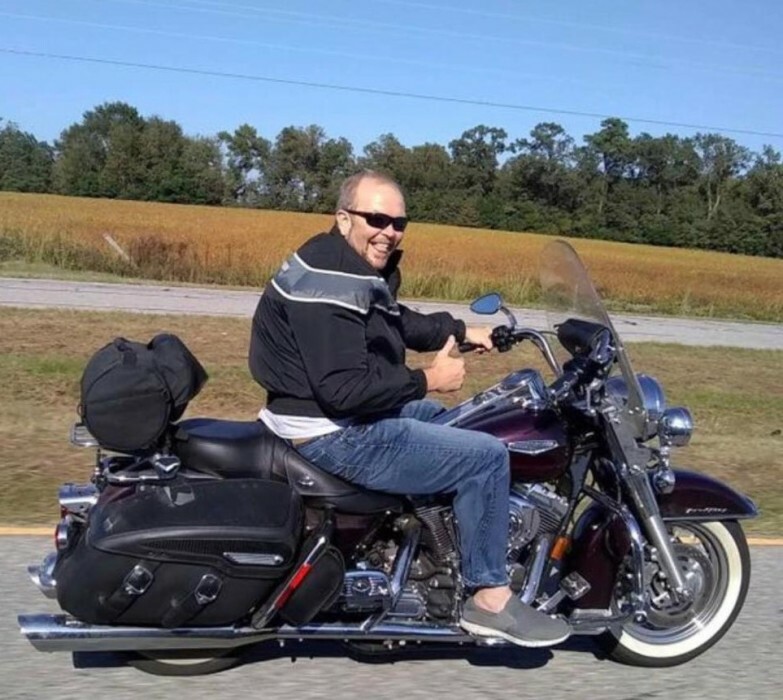 Jerry enjoyed riding his Harley Davidson motorcycle, Clemson Football, fishing, hunting, watching movies and being a D.J. He is survived by his daughters, McKenzie Logan Jackson of Blenheim, Destiny Allyssa Freeman of Florence; Father, Jerry Junior Freeman, Sr. (Sue) of Chesterfield; mother, Patsy Ann Boykin of Bennettsville; brother Randy Freeman of Chesterfield; sisters, Angie Freeman of Chesterfield, Wendy Bryson (Shannon) of Merritt Island, Fl; grandchild, Kyran Jakobe Davis; niece, Katie Freeman, Tashawanda Moore, Carrie Privette, Shannon Bryson; nephew, Jonathan Freeman, Forest Privette; special cousin, Chris Freeman; and special friend, Josh McLaughin. Jerry was preceded in death by his brother, Jerry Leonard Freeman; uncle, James Vernon Freeman; great-grandmother, Katie Haywood; paternal grandparents, Howard Vernon and Lizzie Scott Freeman; maternal grandparents, Leroy E. and Virginia Cribb Boykin. A funeral service will be held at 3:00 p.m., Thursday, March 21, 2019, at Burroughs Funeral Home, with burial to follow in Sunset Memorial Park. Visitation will be held from 6 until 8 p.m., Wednesday, March 20, 2019, at the Funeral Home. Memorials may be made to the American Heart Association, 181 East Evans, Street, Suite 200, Florence, SC, 29506. Burroughs Funeral Home is honored to assist the Freeman Family.